Maintaining dietary restrictions can be an overwhelming obstacle in general, let alone when you’re traveling. However, the good news is, it is becoming easier each year as more people become familiar with gluten-free diets. I was diagnosed with Celiac disease when I was 19, which means I am intolerant to gluten, a protein found in wheat, barley, and rye (basically everything). As someone who is gluten-free and has traveled to 48 countries, I have endured the struggle of finding food I can eat on a regular basis, and in many different regions of the world. I’ve learned that when you have a solid grasp on what you can and can’t eat, meals are not as daunting while traveling. Always carry gluten-free bars and snacks with you– just in case you can’t find any viable food options. Kind Bars are the perfect lightweight, compact and nutritious gluten-free snack on-the-go. There’s also the more basic snacks like nuts, fruit, chips, and at times I’ve even packed my own gluten-free penne pasta to cook at hostels (I’m obsessed). When traveling in a country with a foreign language, print out a “cheat sheet” – this is basically a script prepared in the local language explaining your dietary restrictions. I use google translator to type out things like: “Do you have any options that are gluten-free? Does this contain Gluten or Wheat?” I then simply hand it to the server at any restaurants I go to, saving me the embarrassment of butchering the language, and avoiding any confusion. Gluten Free Travel has FREE downloadable restaurant cards pre-maid in 63 languages, and they also have a FREE iPhone app. Learn a few key phrases in the local language & the translations for “wheat, barley, and rye”– this is especially important if you are going to be in a country with a different language for a while, to help you get by when eating out or buying groceries. When I first moved to South America, my two most frequently spoken Spanish phrases were “Soy alergica a gluten” (I’m allergic to gluten) and “Esto es sin gluten?” (Is this gluten-free?). But, the more I said these phrases, the more I realized that people often had no idea what I was talking about (which I’ve found is true in most countries). So I learned how to say the more common grains that contain gluten: trigo (wheat), cebada (barley), and centeno (rye). These words sometimes confused people as well, so then I resorted to “Esta cocinado con pan?” (Is it cooked with bread?) I specifically used this phrase when I was trying to determine if chicken was fried in flour, or simply grilled. Once you know the words for these 3 grains in the local language, you can simply point at menu items and ask yes or no? You can also search for those words on the ingredients section while at the grocery store. Use Google Translate- The FREE APP has downloadable dictionaries, and a camera function that reads symbols in languages like Japanese and Chinese and translates them for you even offline, (if you download that language onto your phone before leaving an internet source). This is perfect for translating ingredients and to communicate with a server at a restaurant. Exaggerate Your Dietary Restriction: I have encountered my fair share of people who will lie about food containing gluten even after I explain that I’m allergic, because they don’t understand the severity of the allergy. I discovered this when trying to buy “pan de maiz” (corn bread) from a bakery. Initially, I was told that the bread was made from “solo maiz harrina” (only corn flour), only to find out that it was 70% corn flour and 30% wheat flour. I found that if I exaggerate a bit about my allergy and say that I will die if I consume gluten, that people will then divulge if there are any food allergens in it. Unfortunately, none of the communication methods are 100% foolproof, which is why it’s important to have a good understanding of which basic foods typically contain gluten. Overall, the struggle to find gluten-free food is a small price to pay for all of the amazing experiences you’ll have while living and traveling abroad, and most importantly TRAVELING GLUTEN FREE CAN BE DONE! 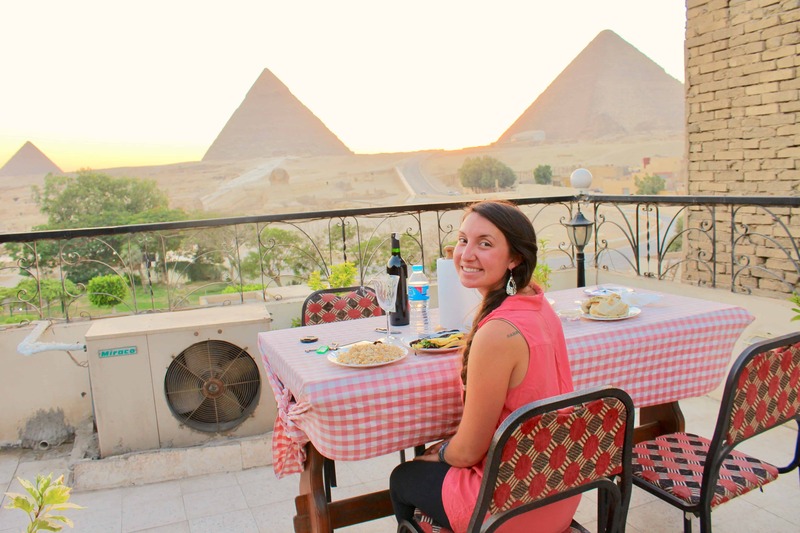 Once I decided that having Celiac disease will not prevent me from all of my traveling aspirations, it became abundantly clear that with the right attitude, research, and general knowledge of nutrition, I can take control of my diet no matter where I am in the world, and so can you! While living in Cusco, I ate out quite a bit and found some delicious “gringo” (white people) cafes that had a variety of options that I could eat– my favorite being Green Pointe, a vegan restaurant near San Blas Plaza. Unfortunately, I had to break the habit of eating out early on due to how expensive it is. I also quickly realized that touristy markets such as San Pedro Market are pricier than local open-air markets. So I began splitting all my grocery shopping between the Mega (supermarket) on Avenida el Sol and the open-air market a few blocks behind it. One of the best finds in Cusco, were gluten-free biscuits called galletonas, which are made out of a variety of different things ranging from quinoa to soy. Other then galletonas, my adapted diet consisted of eggs, grilled chicken, fruit, vegetables, nuts, quinoa, and a lot of rice. I also discovered the wonder of “menus”. Menus are local restaurants that serve local food for extremely cheap and the menu changes every day. Three-course meals with a drink range from S/0.3 to S/0.8 (roughly $1-3 USD). 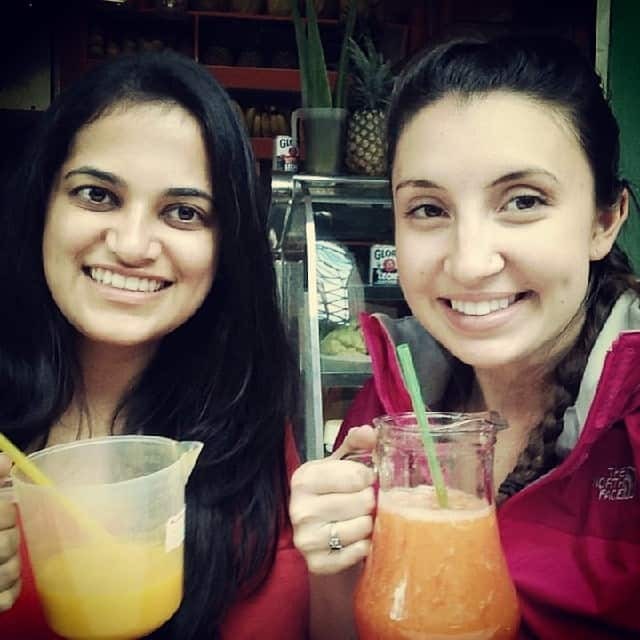 I highly recommend Menus for travelers visiting Cusco on a budget. They are clearly identified by the word “menu” written on a chalkboard, followed by the meal options for that day. Unless you are a great cook, and want to bake things from scratch you’ll most likley have to adapt your diet to what’s available, which means giving up things like gluten-free bread and pasta, which can be easily found in most developed countries.